Price in Reward Points : 2001 Only 21 Left Need More? 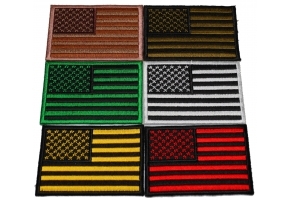 Large American Flag Iron on Patch and reflective at the same time. 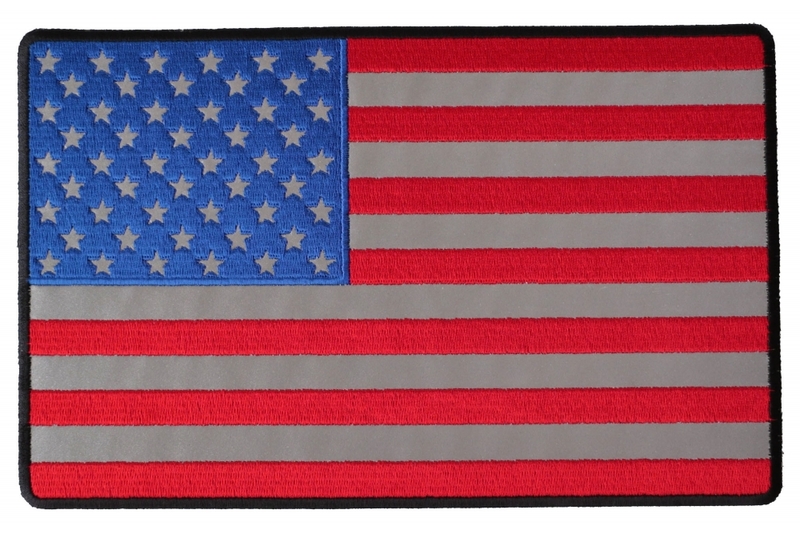 I've used reflective fabric and eliminated all the white off the flag leaving the stars and white stripes as reflective material. Show you patriotism and be seen at night all in one shot. Measures 10x6.25 inches. Has a black border running along the edge to you can sew it on as well. I did try to make the patch with reflective borders before as well, but the patch lost a lot of stiffness and the plastic iron on backing doesn't really like to stick on to reflective material. That's why a border was necessary to make sure the quality of the patch stands. 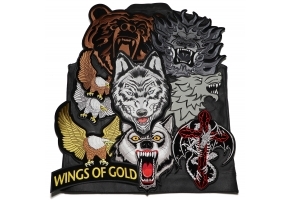 There are a lot of cool reflective back patches out there. 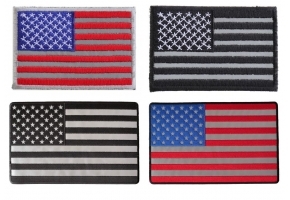 These patches contain special material that reflects any light that is shined on it, allowing you to be seen on even the darkest of nights. These Reflective Patches can be lifesavers, especially if you have to get off your bike in a dark stretch of road for any reason. 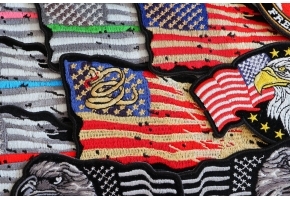 This reflective patch is for those who have a patriotic theme going on. 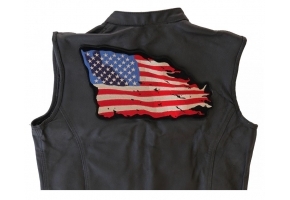 The Freedom Rider Reflective Patch With U.S. Flags will keep you safe at night and looks great, especially when added to a jacket that already has American flag patches on it. 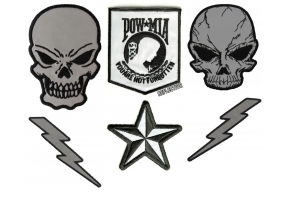 This patch is much more stylish than wearing an ugly bright orange vest, but it will get you noticed in the dark. 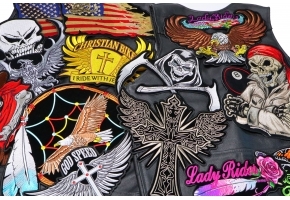 You have two options for attaching this patch to your clothing: if you're putting it on leather, you'll need to sew it on. If you're putting it on other material, you can iron it on. The problem with leather is that heat will ruin it, so it must be sewn on. The patch measures ten inches across so it's going to go all the way across the back of your jacket or vest.